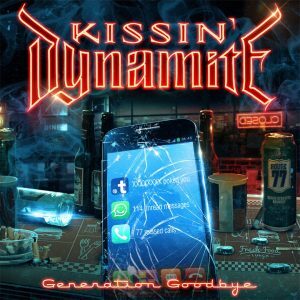 Review: Kissin’ Dynamite – Generation Goodbye – AFM Records – Release: July 8th, 2016. These German glam rockers released their debut “Steel Of Swabia” in 2008 and got raving reviews. The party rock got a sequel two years later with “Addicted To Metal”. The band toured all around Europe and collected a great following. The latest two releases showed some influences from others genres. The band cut ties with their management and decided to do everything by themselves on the new album. 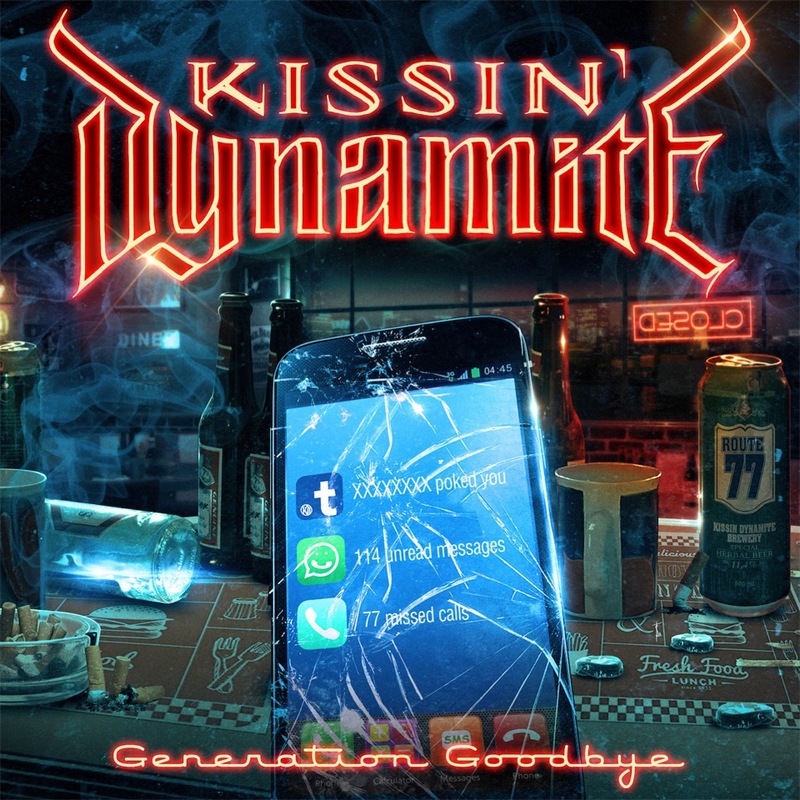 “Generation Goodbye” can be seen as a new start! The title track lets us taste the new flavor of the band. I hear keys and some light orchestration in the background. Hannes sings with a lovely raw edged voice and the song has a subdued party factor! It seems the boys have matured a bit and the lyrics back my theorem. The first single ‘#Hashtag Your Life’ has more power and holds a super catchy riff. The song is a reaction to the modern day smartphone generation. You certainly should check the video on YouTube. The lovely ballad ‘If Clocks Were Running Backwards’ shows the other side of Hannes. The man has a pleasant warm natural voice. The guitar solos are pure fireworks every time and when you listen to the heavier ‘Somebody To Hate’ you’ll catch my drift. You can’t complain about variation on this disc, because ‘She Came She Saw’ has a sleazy touch and the chorus is pure glam rock. I can even smell some Rammstein in the riffs. This is the only song where you can hear some flirting with the dance sound (some dub step). The solid gold metal riffs from ‘Highlight Zone’ urge you to shake that head. The same can be said about ‘Under Friendly Fire’. Some chopping riffs introduce a dose of power metal in ‘Larger Than Life’. On the power ballad ‘Masterpiece’ Hannes gets help from Jennifer Haben. She is the singer from the German symphonic metal band Beyond The Black. That’s a band kind of put together by Hannes (and he also wrote many songs for the band). But the song that speaks to me the most is the versatile ‘Flying Colours’. It’s a complex song with a pure singalong chorus and before the break they even throw in some ‘woo-hoo-hoo’s’. The instrumental break makes clear that the two axe slingers Ande and Jim master their instrument. The song has a very addictive build up. The album closer ‘Utopia’ is another winner for me. It slowly builds up to the powerful chorus. Lyrically this is also a highlight. It tells the story of a toreador who starts out as a mighty powerful man who transforms into a man who dies in the gutter due to a bull. Not the kind of story you’d expect from a bunch of glam rockers. The band has dropped the many dance influences from the previous album “Megalomania” and displays more variation in styles. It’s not a concept album but the main message is: Don’t follow the crowd and be yourself! The band seems to have matured a bit and this sound seems to be a right choice. Also lyrically they have come a long way since the ‘I hate hip hop’ period. A highly recommended slice of music!